Food service management is such an unpredictable business. You’d think a hospital cafeteria would err on the side of healthy, but that’s not always what sells best. Fortunately and unfortunately, at the end of the day…you have to provide what sells and the consumers drive that decision. Just prior to starting my job in July, the hospital had gone trans fat-free. While that is one huge step in the right direction, there are still other fish to fry (no pun intended), like saturated fat and sodium. Goodness gracious is the sodium content OUTRAGEOUS in so many prepared foods. Most soups START at 1,000 milligrams per CUP and go up from there. Oy vey. Starting in the next few weeks, we’ll be purchasing much of our produce from a local farm and distributor that purchases as locally as possible and during the warmer months, grows and sells its own yield to large scale operations, such as hospitals. The prices are great and I’m proud to support local agriculture and those who grow closer to home. This week, we’re also trying something new on the menu — Indian food! We’re serving up Chicken Tikka Masala, basmati rice, and naan. I have no idea how it will go over, but I know that the hospital will smell of the potent and wonderful flavors that are also included in this dish. If you THINK you don’t love Indian food, you’re probably mistaken. I tend to think that will be the initial impression of our employees tomorrow when they see something so very new to them on the menu. At which point we will offer up some tastes and make Indian food converts all over the place. I have a lunchtime mission tomorrow! This dish serves up all that I love about Indian — the flavors and spice, but in a new, vegan recipe. While Mr. Prevention begs for chicken when I make Indian, he didn’t complain about this for even a second. 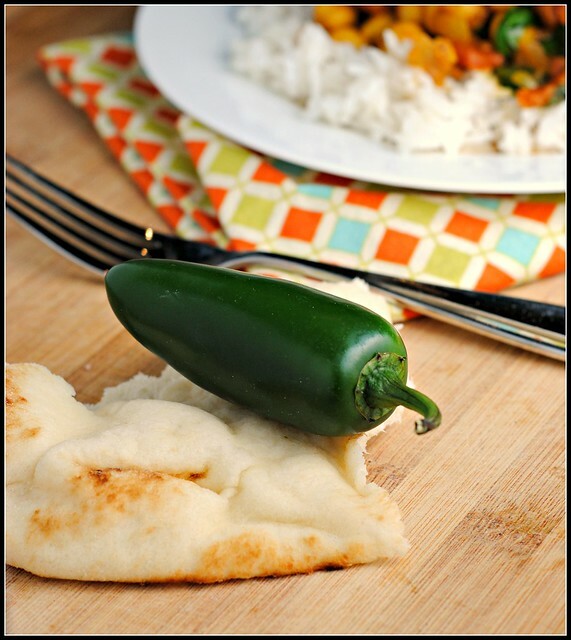 Definitely a keeper Indian recipe that tops nutritional charts for a very affordable cost. Enjoy! Heat oil in a large skillet. Once hot, add onion, garlic, ginger and jalapeno and sauté over medium heat until softened and beginning to brown, about 5-6 minutes. Add the coriander, cumin, cayenne, turmeric, and garam masala. Cook onion mixture with spices for a minute or two, then add the tomatoes and juices. Cook for another 5-10 minutes, breaking up the tomatoes with the back of a wooden spoon. Add the water and chickpeas. Simmer uncovered for 10 minutes. Simmer for another 10-15 minutes, covered on low heat. During the last 5 minutes of simmering add the baby spinach and salt. Result: Quick, simple meal with a ton of flavor. There’s something about Indian spices that is incredibly versatile and this is the first time I used spinach in Indian cuisine – I loved it! The chunks of tomatoes was a great contrast to the grainy, bitty chickpeas. 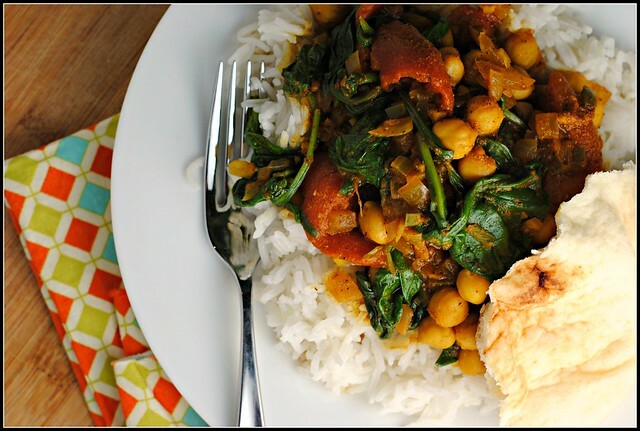 This vegan meal is incredibly affordable, and if able to get past the crazy names of spices, this is a dish that anyone could throw together. I served this over basmati rice with a small piece of naan. Delicious and reheated beautifully! 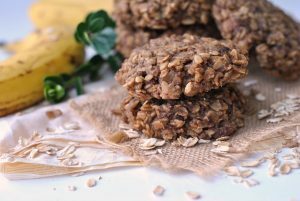 Money Matters: This recipe is incredibly cheap! Cans of tomatoes run $0.70 on sale and beans $1.19. Spinach from CostCo costs $0.20/oz — $0.60. The spices are actually the biggest cost, especially if you don’t keep them on hand. For those who love, and make, Indian food at home, however…spices are very affordable, especially if you purchase them in bulk. One of my favorite places to get spices is an a place in Seattle that sells online – Market Spice. Great prices and great products! I will (over) guesstimate $2.00 for spices and $0.20/tablespoon of olive oil. Onions in bulk come to $0.50-0.60 each. The jalapeno and garlic are inexpensive ingredients ($0.30 total) with the ginger root costing $1.99/lb — about $0.17. 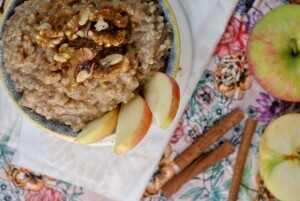 Excluding rice, the recipe comes to $5.66 and $1.42 per serving! Happy Anniversary to my mom and dad!! 🙂 Love you! Work, our last family cooking class in this 5-week session, and then hockey! I was just searching out healthy vegetarian Indian meal ideas so this is perfect, thank you! Looks tasty Niciole!! I cant believe a hospital would take so long to get rid of trans fats!! Baffling! I can’t wait to hear how this sells at the hospital. Indian food is SO underrated! But I think so many people don’t even give it a try. It’s a shame, because it’s amazing. I hope the tikka masala is a hit at work tomorrow – that was my first taste of Indian food and it was love at first bite. I need to make it again! Happy Anniversary to your Momma and Papa!! I haven’t had canned soup in so long, it’s crazy to think about how unhealthy it is! My husband was just talking about how he loves this dish. I’ll have to try making it soon! Mmmmm, I love Indian food! 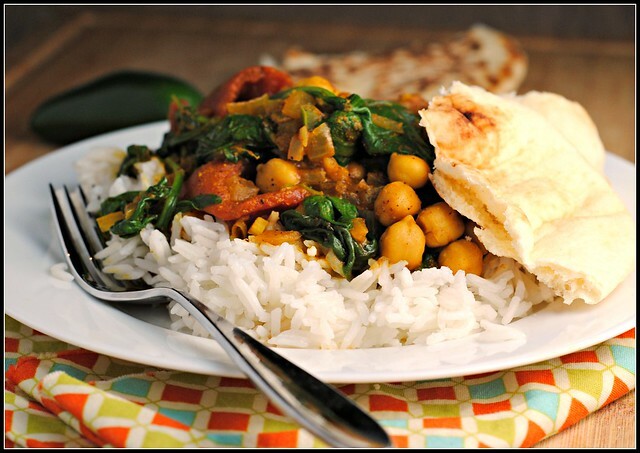 Your channa masala looks so delicious with all the colors from the veggie! 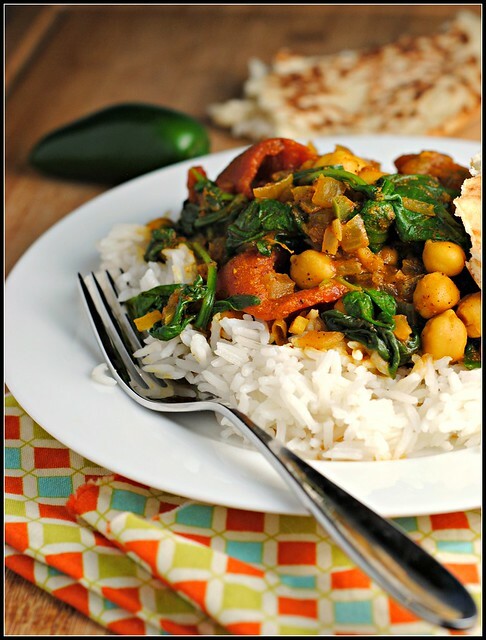 i love chana masala actually anything that involves chickpeas. they are great for health and budget. I have similar issue at my work. People complain we do not serve healthy food but when we offer choices, no body buys 🙁 I hope things go great at your workplace. I mean what is not to love about Indian food right? I love reading a recipe that I already have all of the ingredients for! Yum! I just love channa masala. And I love tikka masala so I hope that goes well for you. It’s awesome to read about the amazing changes you’re making, buying local when possible and such 🙂 Also, I love that you put spinach in your channa masala. I don’t think my recipe calls for that but I’ll be adding it from now on!